WARNING: This story includes graphic detail and may be difficult to listen to. 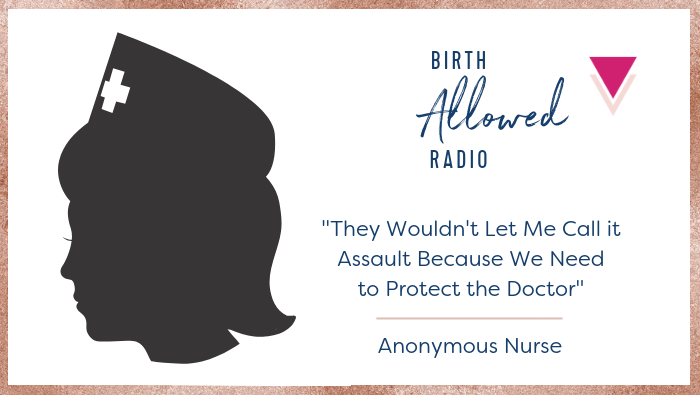 In these stomach-churning episodes (Parts 1 and 2), nurse “Britany” describes witnessing what she describes as a violation and assault on a laboring woman: a so-called “manual episiotomy” by the doctor–a move she discovered was routine for him. Find out what happened when she tried to report the incident up the chain of command in Parts 1 and 2 of Britany’s story. You are going to ROCK the Obstetric World. Thank you.